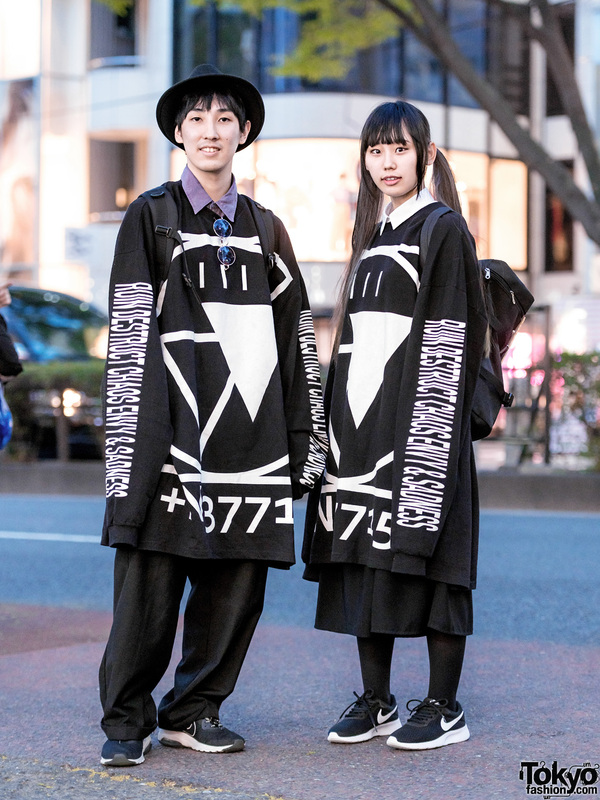 Japanese students twinning in handmade monochromatic dresses and ankle-strap sandals in Harajuku. 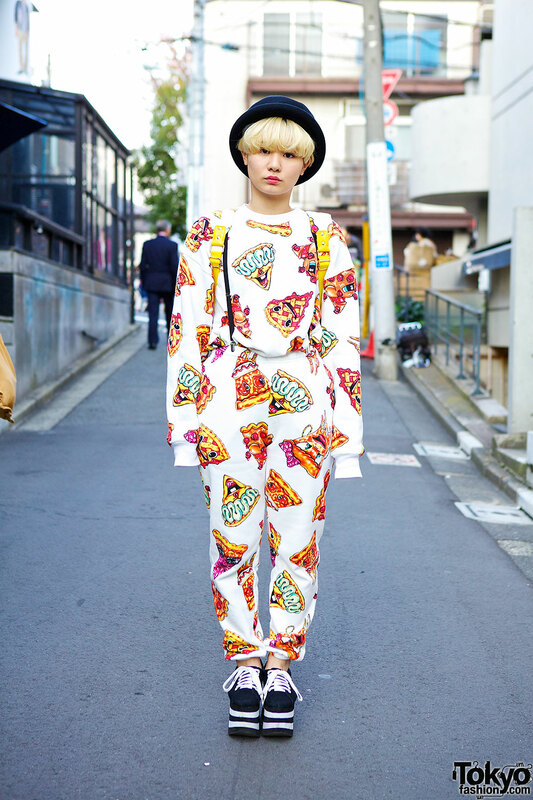 Harajuku duo in matching printed street fashion. Harajuku girl in beanie, white dress, coat, tote bag and sneakers vs. Harajuku guy in beanie, blazer and pants, t-shirt and sliders. 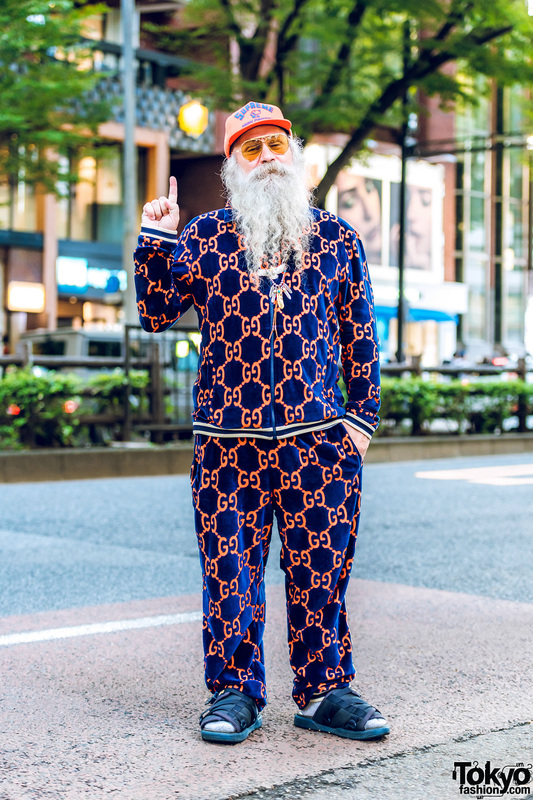 Harajuku guy in matching prints shorts and sweatshirt with orange-haired girl in floral pants and geometric print top.